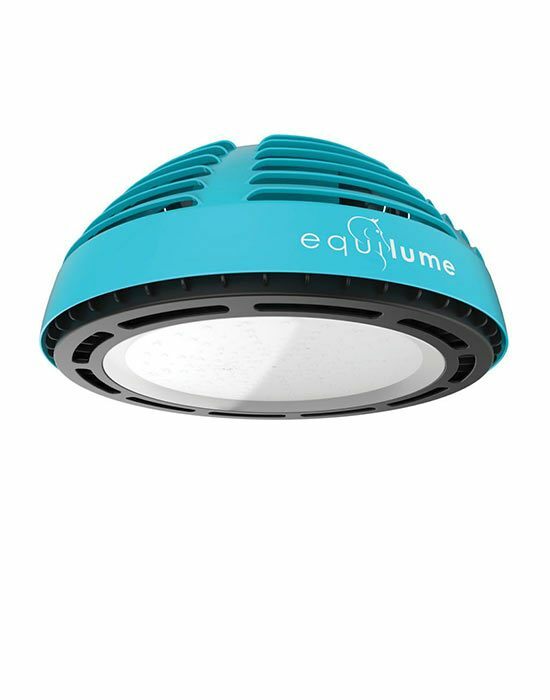 The Equilume Stable Light provides the horse with biologically effective light in a system that replicates the benefits of nature's environmental lighting indoors designed to maximize health, performance and breeding efficiency. THE LUMINAIRE MUST BE PURCHASED WITH THE CONTROL PANEL. Please contact Equilume directly for a Control Panel quote. "The 20 masks you put on our mares in early December are working beautifully. Our mares are foaling closer to their due dates than is usual during the winter months and they are just as effective in getting mares to come into oestrus as lighted stalls, if not more so. They represent a large saving of both money and labor as compared to bringing mares in and out of barns with lighted stalls, cleaning and rebedding stalls etc." Alan J. Leavitt, Walnut Hall Ltd. Kentucky, USA. Equilume is the best lighting program I have ever experienced! We used it on 100% of our mares (including Recipient mares). My mares were cycling better than ever before on February 1st. I always said that mares that lived outside had less uterine fluid, this was the proof! This year my mares were outside grazing and playing with their buddies 16 more hours a day than they had in the past. My old mares this year had minimal problems with poor uterine clearance and urine pooling. I have no doubt that is because of being outside 24/7. The very best device I have seen in 25years of reproductive practice, second only to the introduction of the ultrasound. It will get them bred early. "I think that Equilume Light Masks will open the eyes of the horse industry to the benefits of light manipulation in the same way that deslorelin brought focus to ovulation-inducing drugs"
Dr. Angus McKinnon B.V.Sc., M.Sc., Diplomate A.C.T., Dip.Vet.Med., Diplomate A.B.V.P, Director, Goulburn Valley Equine Hospital, Shepparton, VIC, AUS. “I loved having​ the light mask this past winter for my mare. It worked SO well. She is an older mare, and absolutely hates being stalled. So I had no choice than to either wait til summer to start breeding her, or use the light mask. I took a chance and used the light mask. It worked like a charm! She started cycling early (March), kept her weight on beautifully, and most importantly, she was HAPPY to be outside. The mask held up great! I never had any issues with her rubbing it off, or it falling apart, etc. I would love to have another one!" 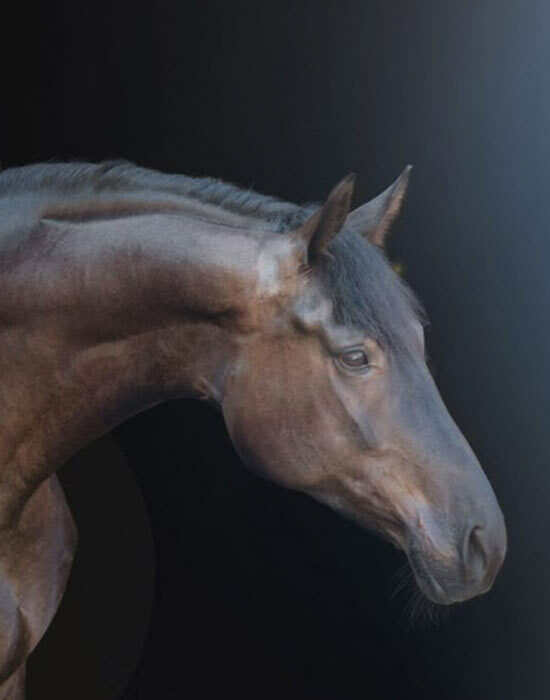 "I have been excited since being introduced to this concept and have successfully used the Equilume™ Light Masks for the last two breeding seasons, I am confident that they will be a world wide success for breeders. In the difficult breeding year of 2013, Equilume™ was a ‘shining light’ in tightening our average gestation lengths." "All mares with the Equilume™ mask showed heat in January and they had normal oestrous cycles. 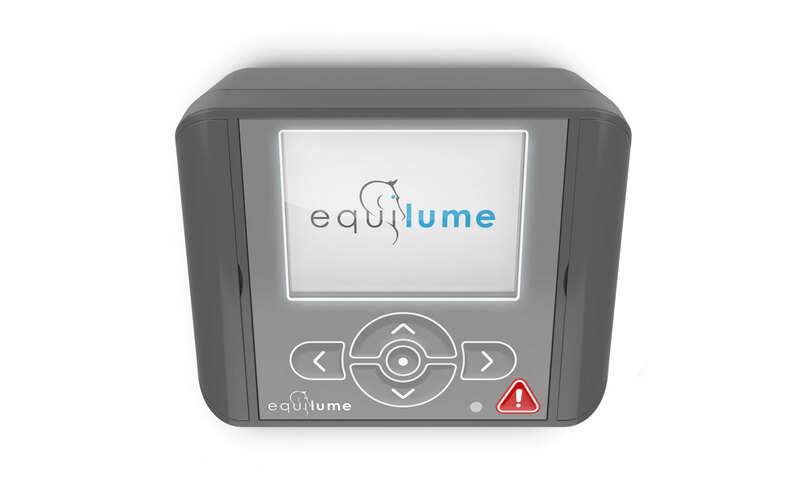 Equilume is effective to control reproductive organs as much as standard method of light control. The mares with Equilume were covered in the early breeding season and 70% of them became pregnant immediately. Equilume saved our time and daily running costs (electricity, bedding and labor etc)." "I initially used the Equilume Light Mask on "The Job is Right" during the darkest days of winter as I felt the horse just wasn't thriving. A month later he started to look and feel a lot better in himself and was enjoying his work more. I also used a mask on a barren mare who shortly afterwards started cycling and went in foal on her first cover." "We used the Equilume Light Masks last season on a selection of our in-foal mares with a history of long gestation lengths. We found that the masks worked to good effect and resulted in a significant reduction in gestation lengths compared to the 2013 gestations in the same mares. We felt the light masks were effective at reducing prolonged gestations in pregnant mares and intend to use them again." Mick and Tiffany Allen, Celadon Benbrook Australian Stock Horses Luskintyre, NSW. "We used the Equilume Light Masks last year with great success. Our dry mares were all cycling and covered early, while reducing our management costs significantly. Our pregnant mares that wore the masks foaled on time with excellent post-foaling fertility, especially mares that had previously struggled to cycle with foal at foot. We would highly recommend Equilume to farms that want to reduce costs and improve breeding efficiency."